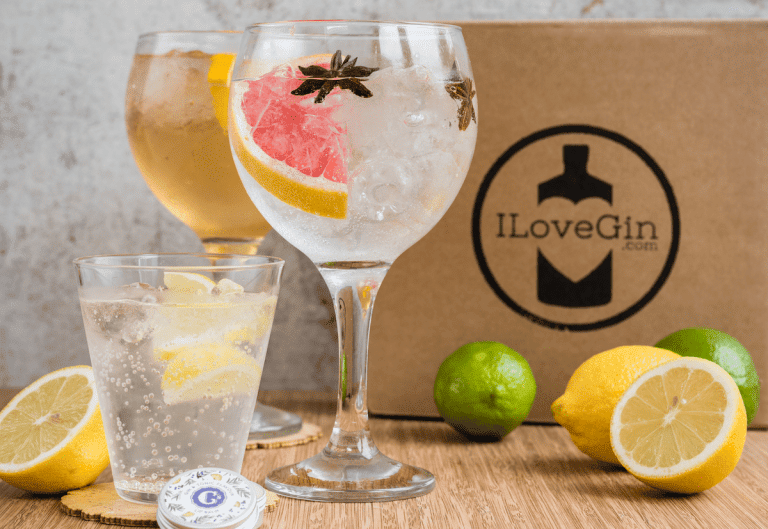 I Love Gin is one of my favourite monthly gin-based boxes, and if you’re a fellow gin addict too, you will love them! 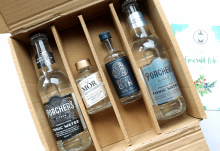 Every month, you’ll receive a different themed selection that will contain two mini bottles of artisan gin and two bottles of premium tonics/mixers, so that you can make four tasty G&T’s at home to enjoy with friends and family. 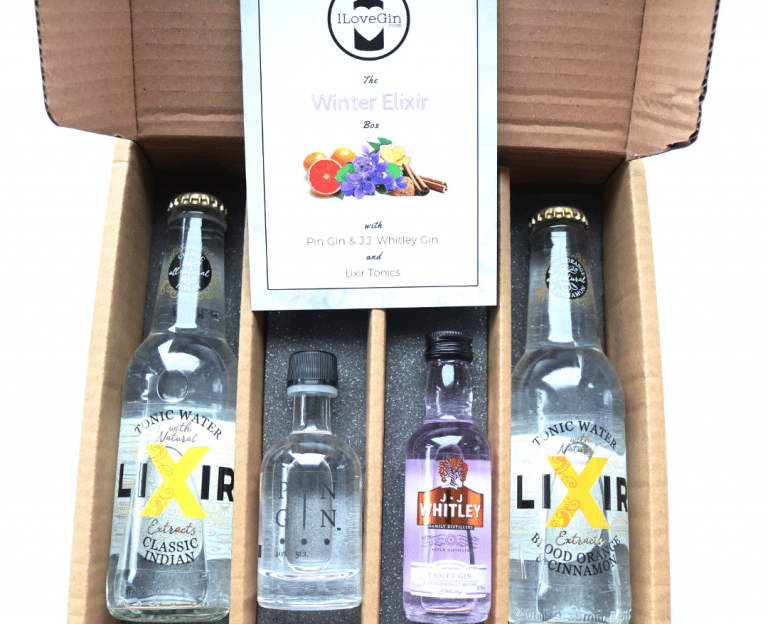 November’s I Love Gin box is themed The Winter Elixir Box and with all the bad weather we’ve been having this week, I couldn’t wait to get stuck in! Taking inspiration from and celebrating Lincolnshire’s rich and magical history, Pin Gin was developed by Bottomley Distillers. 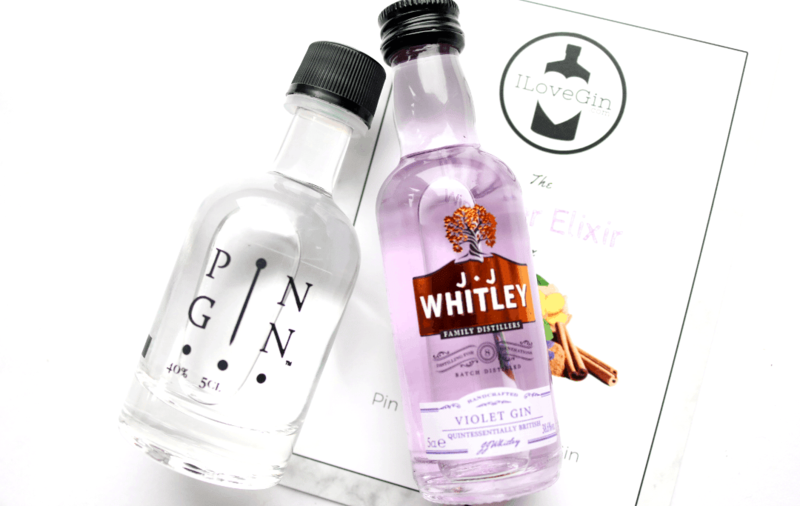 The brainchild of Alan, the head distiller who learnt the distilling process from his father, Pin Gin is an exceptional dry gin with lots of delightful notes of Black Pepper, Rose, Lavender, Liquorice, Cinnamon, Almond and Citrus. The botanicals are steeped for 24 hours before the distillation process occurs in the company’s unique 35-litre alembic still, who happens to be called Dotty. A deliciously novel and tasty gin for the festive season. The J.J Whitley range is inspired by the British countryside and draws upon 250 years of family distilling experience. Johnny, the founder, learnt how to make fine gin from his grandparents and launched the range in 2016 to celebrate his great-grandfather. This Violet Gin is very classically English and uses botanicals that you’d find in a vicarage garden such as Nettle and Elderflower. It also includes Juniper, Angelica Root, Coriander, Licquorice and of course, Violet, to give it a refined and floral taste that’s quite unlike any other gin that I’ve tasted before. Wonderfully different! 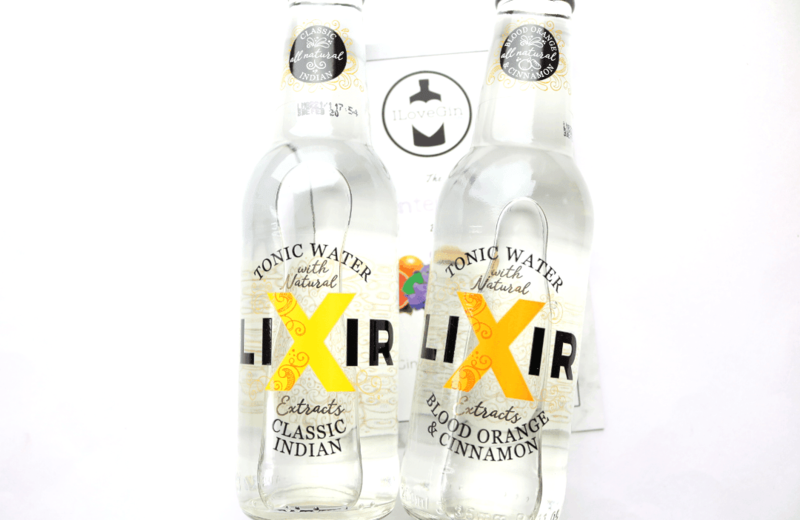 I haven’t come across Lixir Tonics before, but after tasting them for myself, I know that I’ll be buying more of them in the future! 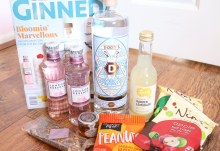 Developed by two bartender friends, these delicious tonics offer a truly versatile range of all natural mixers which pair well with an array of dry, floral, fruity and citrusy gins. 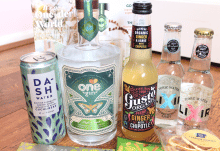 The Classic Indian Tonic Water works well with any kind of gin, whilst the Blood Orange & Cinnamon flavour lends itself particularly well to fruity and citrusy gins for a winter warmer spin on everyone’s favourite G&T. A fantastic box from I Love Gin this month with a superb selection to get you in the festive mood!